Outdoor and Indoor Stage supplied throughout Wales. 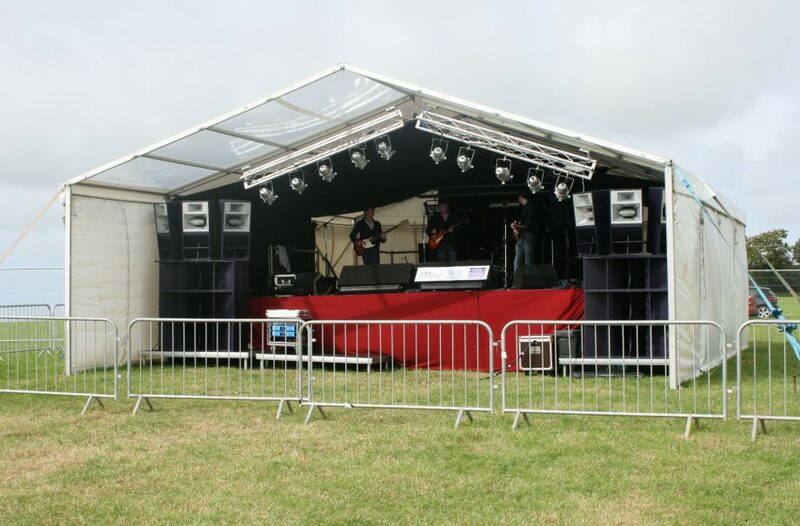 We can supply staging for both indoor venues and a covered stage for outdoor events. 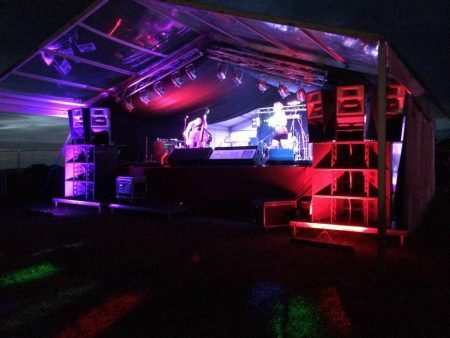 So whether you want a small low rise stage for your wedding entertainment or you need an outdoor covered stage for a music festival, we can supply something suitable. We can install staging into most venues and marquees. We can also supply larger structures either inside a venue or provided with their own cover for outdoor events. Always happy to work within your install time-scale where-ever possible and providing the necessary Risk Assessments and Method Statements for your event. 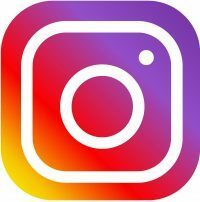 With larger music events we will work closely with other local event companies to ensure everything is installed on time and within any licensing guidelines. Where equipment is required to be installed for a short term, for instance a local Council event set in the Town centre to switch on the Christmas lights, we can deliver and remove within the same day when necessary. Covered Stage available for outdoor events. Ideal for outdoor music events and can be built to your unique specification. We carry full public liability and abide by strict safety guidelines. An optional Damage Waiver Fee on hired in equipment is also available for most contracts (terms apply). Safety rail, steps and front valance are also available. If the ground is uneven we can usually level the staging using our specially designed adjustable legs.